Join Idaho Power and Roland on the River for an Outdoor Adventure! 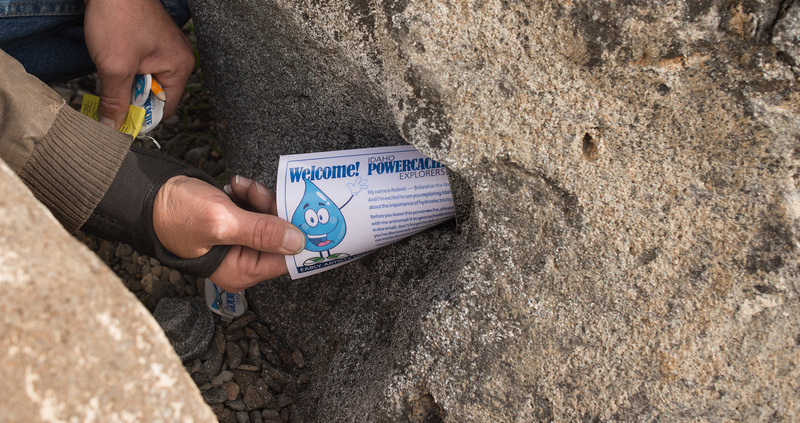 All of our “powercaches,” also known as geocaches, are located on Idaho Power land, so feel free to explore while you visit. We ask only that you leave these sites as you find them, so others can share the fun and excitement of discovery. Geocaching is an outdoor adventure game played by global positioning system (GPS) users. Participants search for hidden containers, called geocaches, and then share their experiences online. Caches are typically waterproof containers of varying sizes and shapes, holding miscellaneous items such as logbooks and trinkets. Individuals and organizations have set up caches all over the world and share the locations on a world-wide geocaching website. Find a list of Idaho Power’s geocaches on the geocaching.com website. Note: You must be a member of geocaching.com to view caches. Basic membership is free. Once you’ve selected your destination(s), grab your family and friends, your GPS unit or your smartphone, and begin your journey! When you find a powercache, jot down the code printed on one of the cards stashed in the cache, or take a photo of the code to use later. Enter the code from the cache card below to download your electronic stamp to add to your Powercache Passport. Follow the instructions on how to add your digital stamps to the passport. Have you found a powercache? 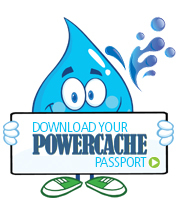 If so, enter the code from the cache card below to download your electronic stamp to add to your Powercache Passport. Please enter a Powercache code. We want to hear about your Powercache adventures, so please share your comments and photos on our individual Powercache pages and we’ll share photos on our Facebook page. Collect all 12 stamps, solve the word challenge phrase and collect your prize! At Idaho Power we work hard every day to bring energy to your door. We do it safely and proudly by planning for the future, caring for the environment, today and every day. The bulk of our power generating ability comes from our 17 hydroelectric power plants along the Snake River and its tributaries. We are proud to be one of the nation’s few investor-owned utilities with a significant hydroelectric generating base. For more than 100 years, our history has been based on using clean generation resources like our hydroelectric plants that have little, if any, greenhouse gas emissions. To this end, we promote energy efficiency and encourage customers to make wise and efficient use of all resources, including electricity.